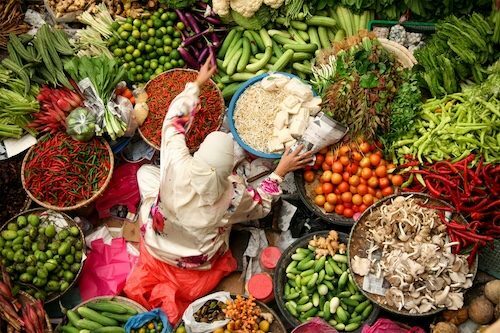 According to a report organized by EAT, a Stockholm-based nonprofit seeking to improve the food system, people should only eat about a hamburger’s worth of red meat a week to do what’s best for their health and the planet . Dairy foods should be limited to about one serving a day, or less, and eggs to fewer than four a week. 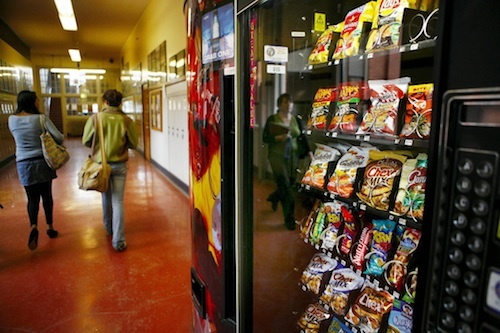 Federal officials finalized new regulations on snacks sold in U.S. schools this week, requiring lower limits on the amount of fat, calories, sugar and salt . The USDA’s “Smart Snacks in School” nutrition standards balances science-based nutrition guidelines with practical and flexible solutions to promote healthier eating during the school day. Last month, First Lady Michelle Obama and Agriculture Secretary Tom Vilsack unveiled the federal government’s new food icon, MyPlate. 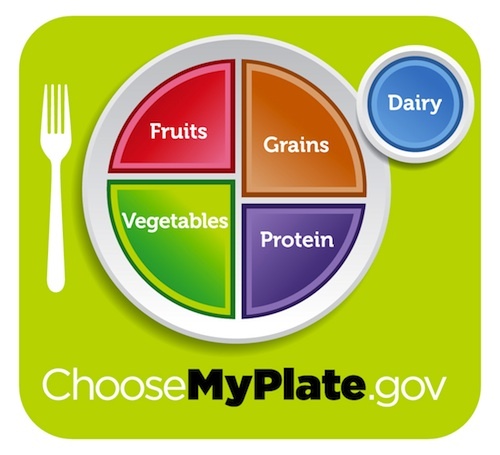 MyPlate is a new generation icon with the intent to prompt consumers to think about building a healthy plate at meal times. The new icon will replace the MyPyramid image as the government’s primary food group symbol as an easy-to-understand visual cue to help consumers adopt healthy eating habits consistent with the 2010 Dietary Guidelines for Americans . A non-profit blogsite dedicated to bringing information and inspiration to those who care about the people, communities, culture and the world in which we live. Sandy Szwarc reviews a study that investigated whether young children adjust how much they eat depending on the calorie content in the foods consumed. Guest blogger Sara Ost of Healthbolt shares 7 essential steps for non-experts blogging about expert things. Dr. Rob shows us that the “perfect child” is simply a matter of perspective. I stumbed across this on Digg a few weeks ago and thought it was interesting. The advent of immunotherapy and the use of bacterial vaccines in the treatment of cancer. N=1 considers the absence of blogs written by nurses in research and academia. Wayne Smallman at Blah! Blah! Technology imagines a future where nano-mechanical devices, deriving their power directly from blood flow, replace external wireless communication devices and literally become a part of our body. And you thought the iPhone was cool! Sell by date? Leftovers? Mark’s Daily Apple reviews how long certain foods really last.